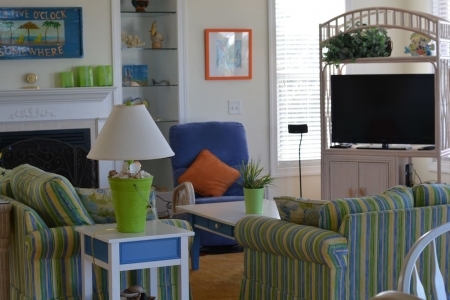 Our 5 br accommodation beach houses are all located in Ocean Lakes Family Campground. 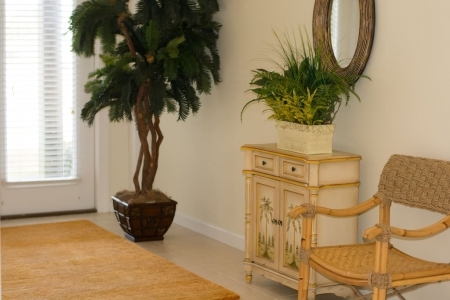 All of the amenities of the resort are yours to enjoy when you rent from us. These houses have large or multiple decks, some even have decks on each floor. Our houses are fully furnished and we even include linen, internet service and departure cleaning service in our price for whole week stays. 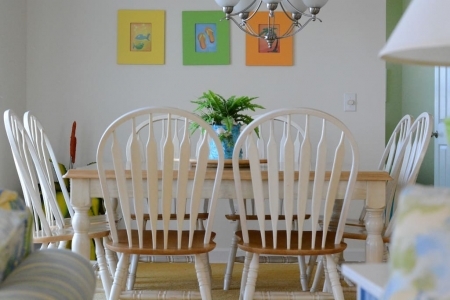 You will find that none of our houses are more than 300 feet from the beach except this one that has an ocean view from the top deck but is 1 block back. Please contact us if your week is already booked on this reservation calendar. We may have another house that is available. The picture of the 2 story vacation house on this page is of our new 5 BR vacation rental house on lot 1054. There is room for parking up to 5 cars and 4 golf carts under the house. The first floor deck is partially covered and we supply deck furniture. Downstairs we have a bedroom that has a Queen bed. Upstairs 1 room has a king bed, 2 have a queen, and the fourth has a bunk bed with a double on the bottom and single on the top plus a queen bed and PS2. 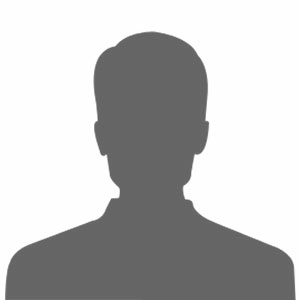 Please contact us through this site to rent this house or for rates or more information on our other 4, 5, and 6 bedroom houses. We always include linen for our houses and even add departure cleaning service at no additional cost on full week rentals. This new five bedroom vacation home has a 42 inch Plasma TV, DVD player, and stereo in the living room. 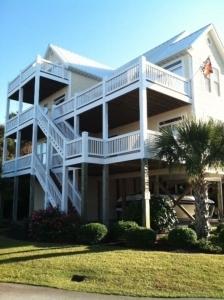 This vacation house has a large deck on each floor totaling over 1700 square feet of relaxation area. The first floor deck has a 2 person hammock, 2 person reclining swing, bar height table and 4 chairs, a gas grill and a beautiful view of the lake with a fountain. The second floor deck has a 5 person Hot Tub with umbrella and lounge chairs. Both decks have a view of the ocean on one side. This is considered a Lake Front/ Ocean View home. Our houses are equiped with secured wireless internet service. This stay house even has hard wired data plug in recepticles in 2 rooms. 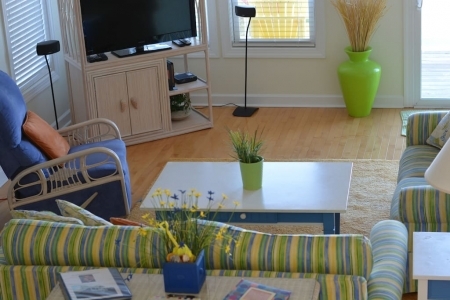 Book this 5 Bedrooms House which Sleeps 13 in Myrtle Beach Vacation Rentals in $128/Night* NOW!! !